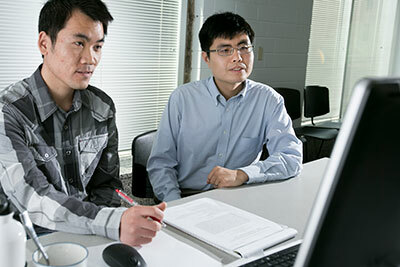 Dr. Lian Duan (right), assistant professor of mechanical and aerospace engineering, works with Chao Zhang, a Ph.D. candidate in aerospace engineering. Duan is one of 42 scientists and engineers to receive support through the Air Force’s Young Investigator Research Program. 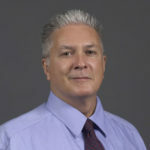 The program supports researchers who have received their Ph.D. or equivalent degrees within the past five years and who show exceptional ability for conducting basic research. Duan’s award-winning proposal, titled “Numerical Simulation of Freestream Acoustic Disturbances in Hypersonic Ground Facilities and Their Effect on Boundary Layer Transition,” received $395,485 over three years. The funding will support Duan’s research to improve the reliability of a certain type of information – known as boundary-layer transition data – collected from hypersonic wind-tunnel tests. Prediction of boundary-layer transition is a critical part of hypersonic vehicle design because of the large increase in surface heating associated with the transition during flight, Duan says. 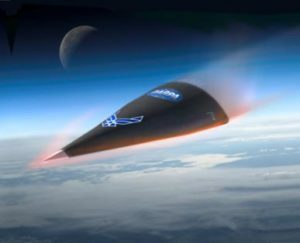 Hypersonic vehicles, such as those used for space exploration or military strikes, fly through the atmosphere at speeds of Mach 5 or higher and must be designed and built to withstand the extreme heat and atmospheric changes they encounter at such high speeds, he says. Illustration of the DARPA Falcon hypersonic vehicle during re-entry. Such hypersonic vehicles are the subject of Lian Duan’s research. But wind tunnel tests of boundary-layer transition for hypersonic aircraft and spacecraft are drastically affected by “noise” that is created largely at the tunnel wall, Duan says. Because of that noise, transition data from those ground-based tests are not as accurate as they should be for hypersonic vehicle design, he says.